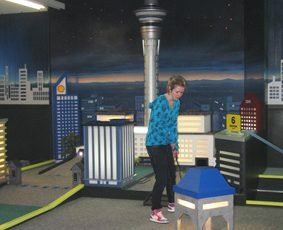 Playing mini golf can be fun for all the family and played indoors, this is a year-round activity. 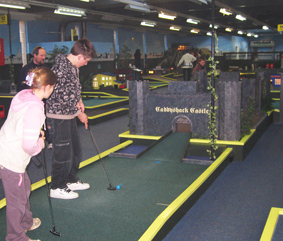 This particular indoor mini putt venue takes pride in the fact that each hole tells a story. Local and international sights such as Auckland’s Sky Tower make up the mini courses, so there’s plenty to look at while you’re waiting for your turn. Booking by phone at weekends, during school and public holidays is advisable. Address: 21 King Edward Terrace, Woolston, Christchurch. Price: Adults $15.00, Students (with ID) $13.50, Children (5-14yrs) $11.00 Family Pass (2A, 2K) $48. Kids must be 5 or over.